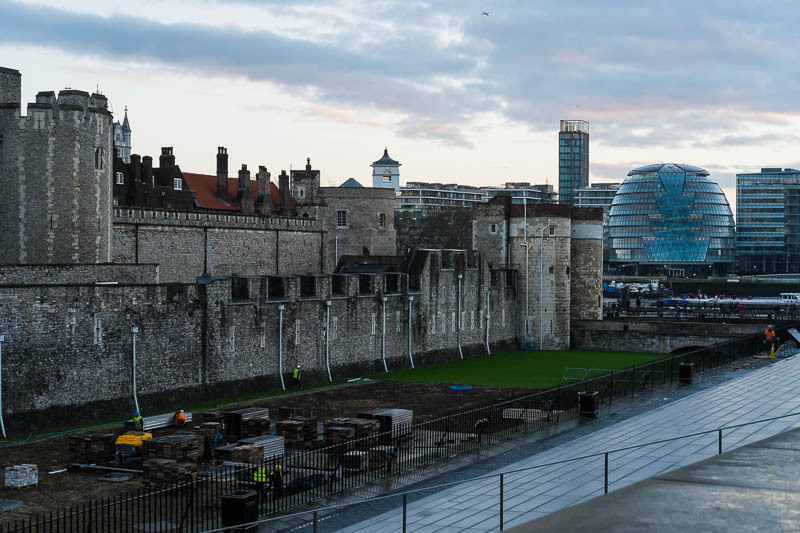 The ancient walls of the Tower of London where many were locked up at the whim of the reigning monarch sits on one side of the river, while directly opposite on the other side of the river sits the oddly shaped City Hall where a modern form of power is wielded. Such a contrast in architecture. I prefer the Tower. It looks like there is some sort of construction going on at the tower. I'm glad I live during the modern version. Lord knows what kind of trouble I would have gotten into in the other time. An interesting juxtaposition, reminders of the past, and a look into the future.